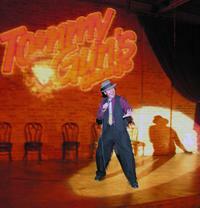 Find Tours, sightseeing tours, activities & things to do in Chicago. Find discounted tickets, events, and many more. Learn the meaning of 'Chicago-Style' on this 3-hour tour as you experience 6 iconic dishes from the famous restaurants that perfected them in downtown Chicago. The hustle and bustle of Chicago can be intimidating; relax as an expert guide teaches you the ins and outs of River North &amp; Streeterville. The tour departs at 11 am and is the only experience where you can taste all of the iconic Chicago-style dishes in just 3 hours! Eating the best foods comes usually comes with a price of long lines and waits - not here! Enjoy VIP access and skip the lines on this culinary adventure! 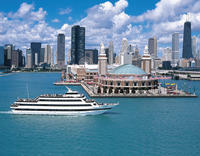 Expect the exceptional on this 2.5-3 hour premier Chicago dinner cruise experience. Newly renovated, this luxury vessel features a newly furnished rooftop lounge, posh atmosphere and stylish interior. Relish a 3-course plated meal with celebrity-chef inspired dishes prepared from fresh ingredients right on-board. Dance the night away to DJ entertainment or simply relax in the elegant ambiance and admire unmatched views of the world-famous Chicago skyline as you glide along the shores of Lake Michigan. This comprehensive half-day tour of Chicago is the perfect introduction to the Windy City! Discover the highlights of Chicago’s North Side and South Side and enjoy a scenic drive along the Outer Drive. Pass by Chicago's beautiful Washington Park and Grant Park, and make a 20-minute stop at the fascinating Lincoln Park Conservatory. Stop for photo opportunity at the Adler Planetarium, see the impressive Wrigley Building and more. You'll come away with a fantastic overview of the best Chicago has to offer! Chicago CityPASS is the best deal in the Windy City, giving you discounted admission to five of the city's premier attractions. The Chicago CityPASS ensures you'll get the most out of your vacation - yet it is so compact it will fit into your back pocket. It's all you need to see the best of Chicago!Special Offer - Buy the Chicago CityPASS to save up to 52% on 5 admissions, compared to booking attractions separately. - Book Now! See all the sights of Chicago at your own pace! On a Chicago City Hop-on Hop-off Tour you can get off the bus at any scheduled stop to visit Chicago's most popular attractions, then pick up the tour where you left off or get on at any other regular stop on the route. For individuals and families, this is the best way to see the sites! The tour includes the signature route which runs year round, while the seasonal neighborhoods routes and night tour operate May - September only. See itinerary below for specific stops. Get an exclusive view inside four famous Chicago pizzerias on this 3.5-hour tour and enjoy delicious slices at each! With your small group by mini-coach, go beyond the well-known pizza shops and dive into the neighborhoods where the true locals eat. Because of your guide's relationship with the chefs, you'll get an inside look at the kitchens and witness the pizza-making process at certain locations.Not only will you try the famed Chicago-style (deep-dish) pizza, but you'll also sample tavern-style (thin-crust) and Neapolitan (coal oven) pizza, too! The best views of Chicago can be yours at 360 Chicago (John Hancock Observatory)! Perched 94 stories above the Windy City, the 360 Chicago provides commanding views of Lake Michigan and Chicago's towering skyscrapers, including Willis (Sears) Tower. Located in the heart of downtown on Michigan Avenue, the observatory is steps away from other top Chicago attractions, and with inclusions like panoramic touch-screens and interactive educational kiosks, it will be the high point (literally) of your Chicago trip! With mobile tickets, simply scan your phone for direct entry into 360 Chicago.If you want to extend your tour to day and night and observe Chicago at both times of day, upgrade to the Sun &amp; Stars option, good for two visits. What should a visitor see and do while in Chicago? It goes without saying that the Windy City has it all; from food, history, architecture, culture and beyond, it can often be hard to decide where to start. Why not venture out of the center of town to celebrate and tantalize all of your desires and senses with a 2 hour, small-group, walking food excursion led by a professional guide through Wrigleyville? You'll enjoy three tastings at local eateries! Experience all of Chicago's best sights from the air on this exciting helicopter tour! Aboard a state-of-the-art helicopter, you'll enjoy a magnificent view of Lake Michigan and fly past several top Chicago attractions like Willis Tower, Navy Pier, Millennium Park, the Shedd Aquarium and Lincoln Park. Your pilot will provide expert commentary about the sights you see and can answer any questions you have. Tour route is subject to change.